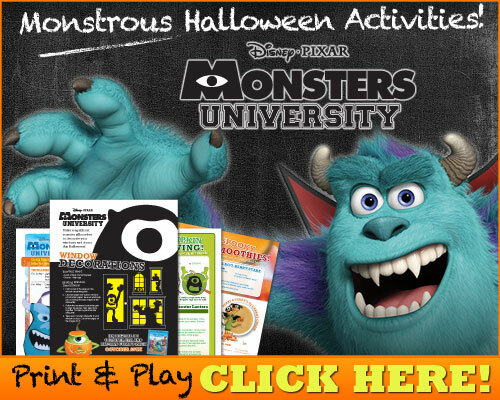 In anticipation of Monsters University's October 29th release date, Disney has released these fun activities just in time for Halloween! Is your family ready for a monstrously good Halloween? Mike and Sulley want to make sure your home is fully monsterized with Sulley's Spooky Smoothie recipe, a Mike Wazowski pumpkin carving template, candy totes that are a scream to make and the spookiest window decorations on the block!